"Four Stars ... this ricochets with musical rewards ... echoes from Chopin to Rachmaninov are all brought out in Markovich’s prodigious pianism." "... a personal triumph for Markovich who consistently delivers titanic pianism that few can match these days. Recorded sound more than lives up to the exacting standards we’ve come to expect from Chandos ... (an) invaluable and authoritative issue." 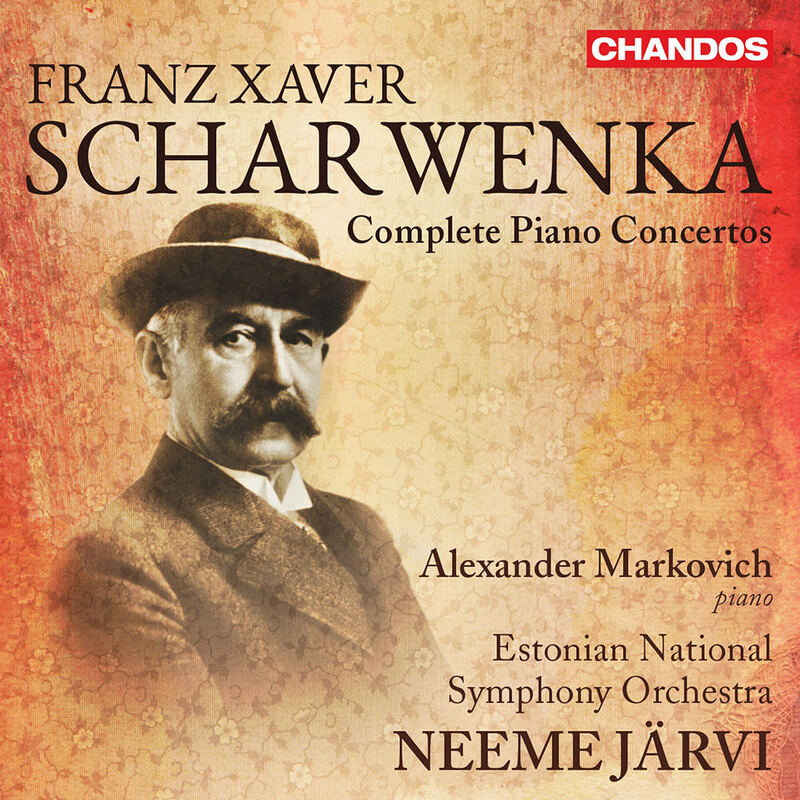 Pianist Alexander Markovich stars on this recording dedicated to the piano works of Polish-born German composer Franz Xaver Scharwenka, a much lauded and beloved figure of late 19th and early 20th century music. His four piano concertos are central works among his small output and have been recorded together on this album for the first time. Markovich is accompanied by the Estonian National Symphony Orchestra under acclaimed conductor Neeme Järvi.